In May 2019, Bulgaria will be visited by one of the most successful entrepreneurs in the world pharmaceutical industry – Michael Bigham. He has held managerial positions at some of the largest pharmaceutical companies and developed cancer treatment medication, as well as some of the newest and strongest antibiotics. Michael Bigham is a true guru in the pharmaceutical and medical industry in the USA. Additionally, he is a very successful businessman, entrepreneur and investor. 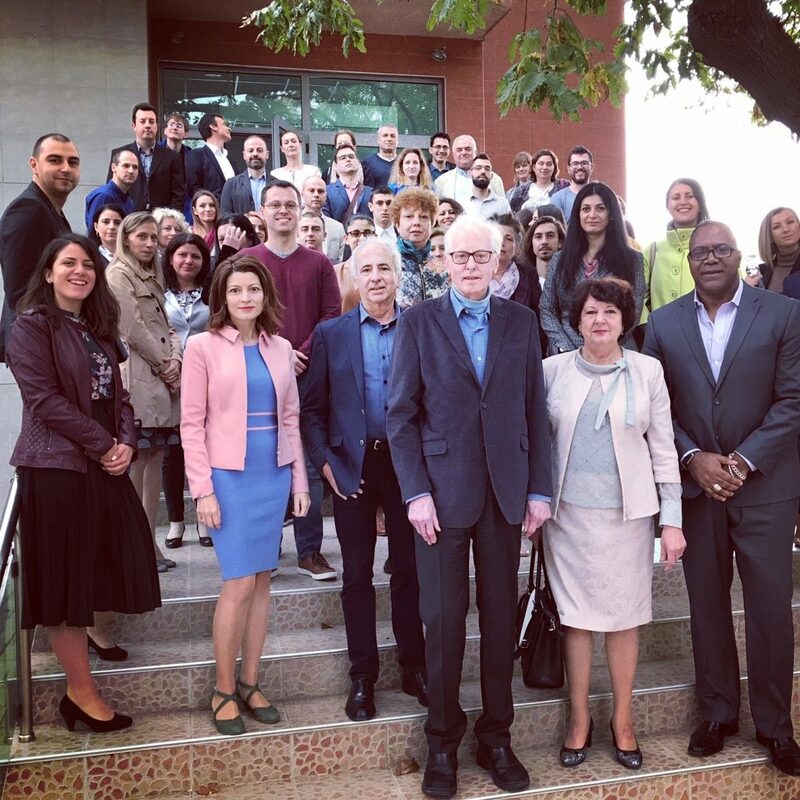 Pharmaceutical expert Michael Bigham is to visit Bulgaria between May 15th and 20th, 2019, as part of the American lecturers to teach at the Varna Free University “Chernorizets Hrabar” under the Entrepreneurship Master’s program. Others include Michael Marvin, a leading technological expert and entrepreneur in the IT field, and Larry Biehl, the foundation’s boss and a financial expert. Michael F. Bigham was appointed Chief Executive Officer and Chairman of Paratek Pharmaceuticals’ Board of Directors in October 2014. Mr. Bigham has more than 25 years of senior leadership experience in the biopharmaceutical industry. From January 2003 to November 2015, he was a general partner at Abingworth LLP, a leading international investment group dedicated to life sciences and healthcare. In November 2003, Mr. Bigham became part time Executive Partner at the firm. He currently serves as a member of the board of directors of InMediata and has held several directorships, including at Avila Therapeutics (where he was also the founding Chairman and CEO), Magellan Biosciences, Portola Pharmaceuticals, Supernus Pharmaceuticals, Avedro and Valeritas. 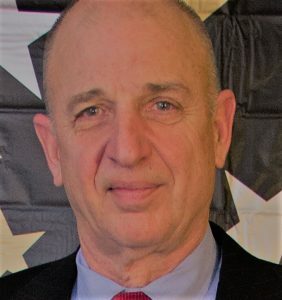 Michael Marvin, a leading entrepreneur in the field of technology, is to visit Bulgaria between May 11th and 16th, 2019. He will be part of a visit by American lecturers who will teach at the Varna Free University “Chernorizets Hrabar” as part of the Entrepreneurship Master’s program. This isn’t his first visit to Bulgaria. In 2017 he was part of the Bulgarian Entrepreneurship Center’s team and participated in various conferences and seminars. Michael Marvin is a real giant in the IT industry. He has founded and developed more than 100 technology companies and is the creator of Tech Valley, the East Coast equivalent of Silicon Valley. He was also an adviser to a $1.4 billion Equity Fund, has occupied managerial positions and been a Board Member in prestigious companies. Mike Marvin has been actively involved in starting and/or growing more than 100 technology companies – and investing in many of them – over the last 30+ years. He was a founder and first CEO of a startup that went public 7 years later and was ultimately sold to a Fortune 500 company. Also, Mike was an adviser to a $1.4 billion Equity Fund, where he screened the companies to be funded and served on their Boards. 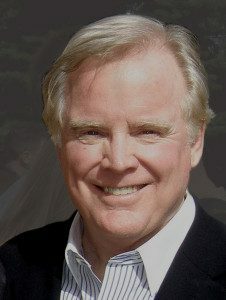 He also Founded and helped manage a seed capital fund that invested $10,000 – $100,000 in startup companies concentrated within a 60-mile radius of great universities (Rensselear Polytechnical Institute).Throughout his career, Mike has been a CEO, Chairman of the Board, Board Member, Advisor, and/or an Investor with numerous technology companies located in New York, Florida, Virginia, Connecticut, and Canada. The Bulgarian Entrepreneurship Center (BEC) in partnership with the America for Bulgaria Foundation (www.us4bg.org), The Bulgarian Private Equity and Venture Capital Association (www.bvca.bg) and President Plevneliev’s Solutions for the Future Foundation, organized a major outreach to the Bulgarian diaspora on the US West Coast, in an initiative named RE:TURN. 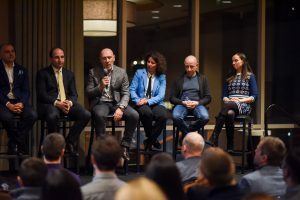 The partners joined efforts to engage the Bulgarian diaspora in San Francisco, Los Angeles and Seattle, in order to invest in Bulgarian starts-ups or VCs, give back to select NGOs, or consider coming back to Bulgaria. Among the participants in RE:TURN were well-known and respected professionals: Bogomil Balkansky (former Vice President of Google), Momchil Kyurkchiev (Co-founder of Leanplum), Nancy Schiller (President of ABF), Rossen Plevneliev (former President of Bulgaria), Genoveva Christova (President of Ligna), Vassil Terziev (Founder of Telerik), Ivan Dimov (Executive Director of BEC), Larry Biehl (founder of BEC), Evgeny Angelov (chairman of BVCA), Anthony Christov (Founder of IDEA Academy), etc. Anthony is a showcase of a Bulgarian who after a successful career as Art Director for Pixar, creating award-winning films such as Wall-E, Finding Nemo, and The Incredibles, decided to come back to Bulgaria in order to establish IDEA Academy. Set to open doors in September, IDEA will offer courses in game and visual effects design, cinematography, and entrepreneurship. In March 2019 BEC provided a grant to IDEA Academy to help kickstart the organization. In January 2019 a second group of Bulgarian teachers went to Stanford University to be trained under the University Innovation Fellows (UIF) program. Among them were Associate Professor Kamen Spasov, Dean of the Mathematics and Informatics Faculty at Sofia University “Saint Kliment Ohridski”, and Victoria Stancheva, assistant at the Marketing Department at the University of Economics – Varna. 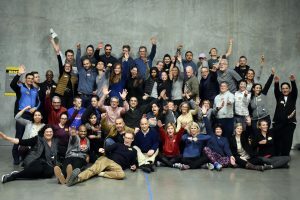 They spent a few days at the center of the Silicone Valley where they exchanged experience with colleagues and participated in an intensive course in design thinking and developing specific creativity and organizational skills. 2018 was a good year for the development of entrepreneurship at a high school level. Our partners from the “Proznanie” foundation kicked off a new project named “Teenovator”. 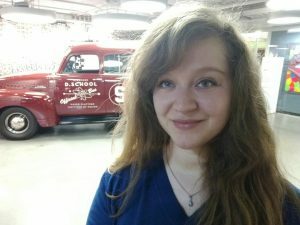 Teenovator are startup clubs for high school students, where they learn how to earn a living by doing what they love and acquire new skills needed for success in the job market of the 21st century. Teenovator is conducted in Bulgaria since October 2018 and is a part of the USchool international network, whose foundations are based on the Design Thinking concept of Stanford University. Teenovator clubs are led by mentors, who are young entrepreneurs themselves. They meet with the students once a week and help them on this journey. Dedicated mentorship and positive encouragement are the key components to our program. The goal of every startup club is to provide a sandbox where students can complete their very first entrepreneurial project – they are guided to start a profitable venture – and through that they gain invaluable experience. 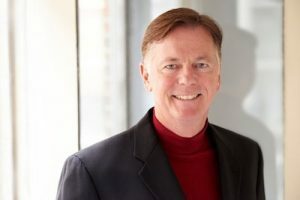 Bob Burke is the founder of one of the most successful consulting companies in the field of tourism – Ovation Consulting. He has substantial experience and a star reputation, as leader in the field of hotel and restaurant management. He has developed and made a lot of establishments successful, creating unique products and finding new markets for them. Bob Burke is a master of strategic decisions, financial analyses and investments. He can find the right solution for any client, improving the product quality and marketing. He works in close cooperation with some of the best chefs, such as Michael Chiarello. Bob Burke has been the president of leading restaurant chains – Pat Kuleto Restaurants, Piatti Restaurant Group, Real American Restaurants, Gordon Biersch Brewing Company and others. He is also chairman of the board at the Guide Dogs for the Blind organization. He is engaged in other social causes as well and is a passionate skier and cyclist in addition to being a connoisseur of good food. 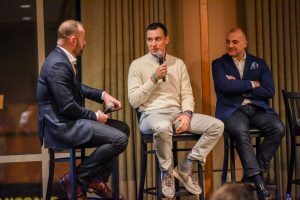 Between October 15 and 31, Bulgaria was visited by famous professors and professionals from Silicon Valley who gave lectures in the cities of Sofia and Varna, as per Bulgarian Entrepreneurship Center’s invitation. Among them were Norman Winarsky – creator of voice assistant Siri and a leading name in artificial intelligence spheres, Jamie Williams – football star, film producer and successful entrepreneur, Drew Starbird – professor at the Santa Clara University and creator of the MOBI entrepreneurship program, Deyan Vitanov – one of the successful young Bulgarians in the Valley, creator of an online game, Ernie Wilson – communications professor at USC Annenberg. Larry Biehl was again the head of the group, a leading financier and founder of the InterCulture foundation. This time his mission was related to three large projects organized by the Bulgarian Entrepreneurship Center. The first one was the launch of a master’s program in entrepreneurship at the Varna Free University, Chernorizets Hrabar. Thirty talented university students were selected and awarded scholarships by Mr. Larry Biehl. The start of the program was October 19, marked by lectures by Deyan Vitanov, Jamie Williams, Ernie Wilson and Larry Biehl. 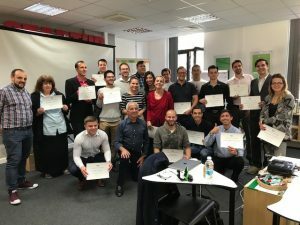 In Sofia, Norman Winarsky held a Business Builder Class in which 30 young Bulgarian entrepreneurs took part and received certificates. At the same time, the MOBI (My Own Business Institute) program was presented by Professor Drew Starbird in Sofia. The course has been completed by about 20 Bulgarian entrepreneurs. MOBI was also offered at the University of Economics in Varna. 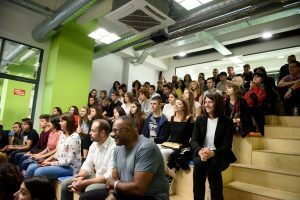 Additionally, a high school entrepreneurship program, in which students from leading Bulgarian high schools took part, was initiated by the Proznanie foundation, in partnership with the Bulgarian Entrepreneurship Center. The lecturers BEC invited also participated in the Innowave 2018 conference in Varna. Norman Winarsky, Jamie Williams, Drew Starbird and Larry Biehl gave numerous media interviews (bTV, Bulgaria On Air, Bloomberg TV Bulgaria, Europe TV and Bulgaria 24).